Luxury 3 Bedroom, 3.5 Bath, Ocean view condominium, overlooking the Marriott and Los Suenos Resort and Marina Beach Club. 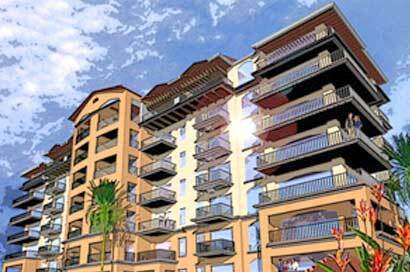 The Los Sueños Marriott, Marina & Golf Resort is the most beautiful housing and condominium community in Costa Rica. Gated and guarded, this resort is anchored by the Hotel Marriott and the Los Suenos Marina. You will find world class fishing, exquisite dining, a spa, a casino, and 18 hole championship golf course, all on property. Your top floor, Bella Vista condominium (elevator equipped, 3100 + square feet), offers you an ocean view and overlooks the Beach club /pool. Rental offers free access to Beach club pool or 2 smaller community pools, all with jacuzzis and grills for your own beach party. Or just relax inside or outside on one of your 3 balconies (two with ocean views). Room service from the Hotel Marriott is available 24/7 or if you prefer is only a short ocean walk (~3 minutes to Marriott and ~5 minutes to the Marina). There are eight restaurants/bars located on the the Los Sueños Marriott Ocean & Golf Resort. From Sushi to the "Hook-up Burger", you’ll have no problems finding your favorite foods. Three bedroom suites, each with a private shower (Master bathroom, equipped with jetted bath). This Condo is a perfect opportunity for friends and family to spend vactations together. 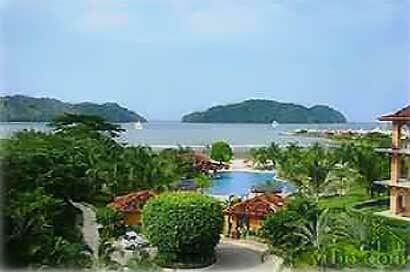 Los Suenos is only 10 minutes by car/taxi to the beach town of Jaco (pronouced HA CO). This beach town is full of restaurants, bars and souvenir shops. DayStar Properties is located in Jaco Beach, Costa Rica, and we are committed to providing the best experience and accommodations to our investors & guests. 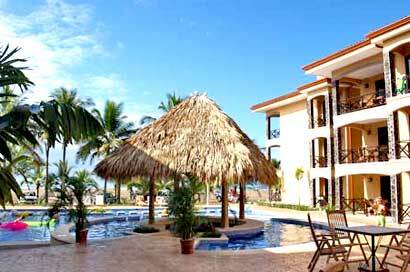 Our vacation rentals are among the finest in Central America. All of our properties are fully staffed and managed twenty-four hours a day. Bahia Encantada a gorgeous resort-like community of beachfront condominiums, is the perfect setting for a sun-soaked vacation. With the beach at its front yard and a sprawling tri-level swimming pool, this enchanting oasis indulges every dream of paradise. Two and three-bedroom units enchant with unobstructed ocean views, multiple private balconies, beautifully decorated interiors and tile floors throughout. La Paloma Blanca (The White Dove) indulges discerning travelers with the conveniences of a deluxe private residence. The asymmetric arrangement of distinctive buildings and three pools brings about a feeling of discovering something special around every corner, and ocean views greet every turn. Within walking distance, Jaco offers Costa Rica’s most happening beach scene with plenty of restaurants, boutiques and entertainment venues. Bahia Azul is the vacation beach home of your dreams. Couples and small families enjoy the serenity of a gated community as well as close proximity to Jaco with its many restaurants and stores. The active beach scene and pool right on the beach are perfect for those who want to be as close to the water as possible. With private exterior entrances to each unit and only three units per building, privacy is maximized. For adventure, rainforests, mountain summits and rivers are all right here, waiting to be explored. Welcome to Club Del Mar one of Costa Rica’s newest and most beautiful upscale boutique-sytle hotels on the Central Pacific Coast. 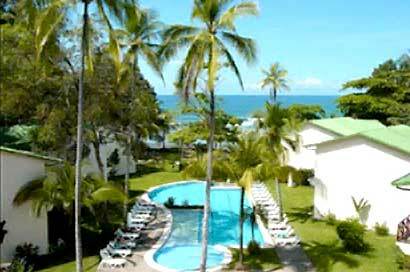 Club Del Mar is nestled in a quiet cove surrounded by mature gardens at the south end of Jaco Beach. A tropical rainforest serves as a backdrop, and gentle waves tumble to a safe beach. The resort consist of 4 single bedroom condos, 18 two bedroom condos, and a 8 room boutique hotel with 2 penthouse suites, restaurant, bar, tour desk and health spa. Each condo has an ocean view and is designed to provide the concept of indoor/outdoor living in harmony with the surroundings. The focus is one water sports with 90 meters of beach front providing safe swimming, kayaking, body surfing, surfing and boogie boarding. Located just steps from the surf is a tropical swimming pool with a social area that is surrounded by beautiful gardens. Towering mature trees give shade and a gentle ocean breeze ensures the perfect place for a afternoon nap.